Josh’s ‘stupidest paper ever’ cartoon is a reminder of the depths to which some people will descend to silence the voices of rational scientific debate just as the authors of the 2018 Harvey et al. BioScience paper qualifies it for the honour of poster child of the reproducibility crisis in science. In other words, it is not science. That surely qualifies the Harvey et al. (2018) paper for the honour of poster child of the reproducibility crisis in science, discussed here and here (Baker 2016; Nosek et al. 2015). It’s an example the public will readily grasp, since the data said to have been used are easily accessible (and understood) by anyone who uses the Internet. Below is the letter outlining the data release issue sent more than a week ago (18 May 2018) by Dr. Richard Tol, University of Sussex, to the president of the university highest academic authority in the Netherlands, where Jeff Harvey, lead author of the Harvey et al. 2018 BioScience paper, is employed as an academic [h/t R. Tol for the correction]. While Koninklijke Nederlandse Akademie van Wetenschappen [KNAW] in Amsterdam has a clearly stated data sharing policy, it is clearly not being upheld for the Harvey et al. paper — which nullifies the point of having a policy at all. 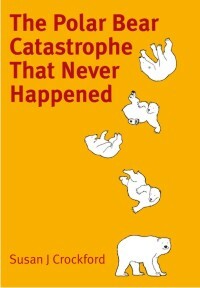 In case you missed it — or missed the significance of it — polar bear specialist Mitch Taylor correctly pointed out in his recent essay (a response to the New York Times article that appeared Tuesday (10 April) about the Harvey et al. (2018) BioScience paper) that the IUCN Polar Bear Specialist Group have given up using computer models of future sea ice extent based on rising CO2 levels supported by the IPCC. Their latest assessment (Regehr et al. 2016) does not link polar bear survival models to climate modeled forecasts of Arctic sea ice decline but rather to an assumption that declines already documented will continue in linear fashion over this century. 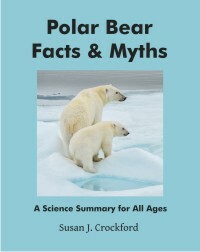 This means that CO2 emissions blamed on human fossil fuel use is no longer directly tied to the predicted future decline of polar bear numbers: IUCN polar bear specialists simply assume that sea ice will continue to decline in a linear fashion with no cause attributed to that decline except the broad assumption that anthropogenic climate change is to blame for Arctic sea ice declines since 1979. No wonder former USGS polar bear biologist Steve Amstrup never refers to this IUCN PBSG study: he and the organization that now employs him, Polar Bears International, are still firmly wedded to the concept that CO2 is the sea ice control knob. 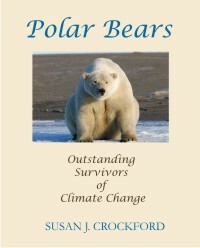 Until now, my scientific paper post at PeerJ Preprints for review, about the failure of Steve Amstrup’s 2007 USGS polar bear survival model (Crockford 2017), has been formally ignored by Amstrup and his colleagues. But now Amstrup and his colleagues have taken to lying to the media about my analysis because he can’t refute it in a scholarly manner. Amstrup also presented a lame critique of the portion of my Financial Post 27 February 2018 op-ed that dealt with his 2007 predictions, published 2 March 2018 by Climate Feedback (self-proclaimed “fact checkers”), that is easily refuted because it’s a blatant lie. He’s saying 2015 sea ice models are relevant to his 2007 predictions that used 2005/2006 sea ice models.